If you have ever had braces, a crown, or any other type of restorative dentistry, you have probably had a traditional “impression” taken of your teeth. It’s the uncomfortable, wet hunk of cement you have to bite down on for seconds so your dentist can make a three-dimensional model of your mouth. Today, Dr. Gregory Martin offers a better alternative using advanced digital scanning technology. With the TRIOS intraoral scanner, our team can capture a highly accurate model of your mouth by running a small handheld tool over your teeth and gums. The TRIOS scanner is the best on the market, completely eliminating the need for those traditional bite-down impressions -- and we’re excited to offer it to our patients needing restorative dentistry! TRIOS is a device that captures high quality, three-dimensional images of your mouth. These pictures are transferred onto a screen that Dr. Martin can use to show you just what’s going on in your mouth, better communicating the details of your treatment plan with you. TRIOS is also integrated with industry-leading analysis and treatment planning software, which allows your dentist to have all the information needed to create in-depth solutions that will suit your smile best. You don’t have to do anything special to undergo a TRIOS scan. Just sit back, relax, and let your dentist, hygienist, or qualified assistant take care of the rest. An expert member of our team will run the scanner across your teeth and gums, collecting information for the TRIOS software. It just takes a couple of minutes to capture the model. The benefits of digital scanning are significant compared to the traditional bite-down method. Digital scanning is much more comfortable for you. Some patients gag or spit out a cement impression, but you probably won’t feel a thing with TRIOS. The image captured is more accurate, which aids in better treatment planning. TRIOS only takes a couple of minutes to complete. Images are recreated in true, life-like colors. Improves patient communication, so you better understand the proposed treatment. Easily, safely, and securely stored, so you won’t have to redo an impression due to a chip or other damage. We can use the TRIOS scanner any time we would have used traditional impressions in the past -- from planning for a dental crown to putting together information for your Invisalign clear braces treatment. Your dentist also needs a 3D model of your mouth when planning for dental bridges, full and partial dentures, and inlays and onlays. Your Grapevine Dentist Offers the Latest Technology! 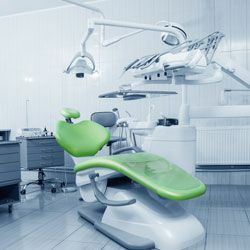 Choosing a dental office that offers advanced technology is a wonderful way to ensure that you and your family receive the very best in dentistry. Dr. Martin and his team are well-equipped to handle your treatments with the utmost ease and efficiency. We invite you to request an appointment for superior dental care today.